Find out how to get involved with our events! As a Charity, we are reliant on commercial sponsorship, donations and fundraising. 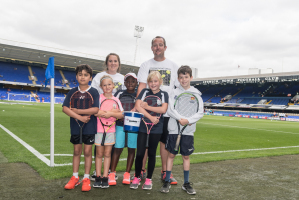 We host a number of fundraising campaigns and events throughout the year and aim to provide fundraising opportunities for everyone, whether it is buying a ‘Rally for Bally’ wrist band for £2.00 or purchase a ticket for one of fundraising dinners. Would you like to do an event yourself, whether it be a bike ride, run or walk? Here below is foundation trustee Ben Haining explaining how you can help and run an event for the foundation! Should you wish to donate to the foundation you can do so via our Just Giving page.